Our Thanksgiving Hunt left from The Old Manse, on historic Monument Street in Concord. We started with a stirrup cup. 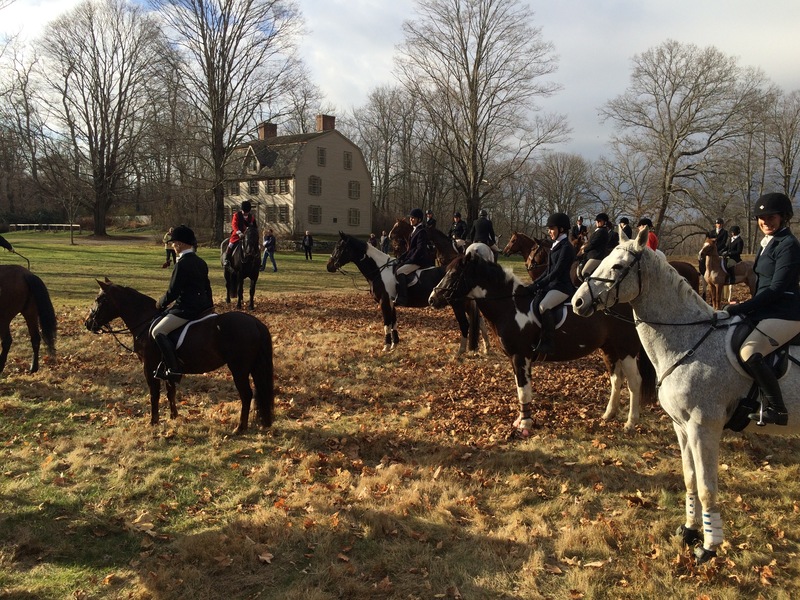 There was a lot to give thanks for yesterday — foxhunting, family and fabulous food. First was foxhunting. 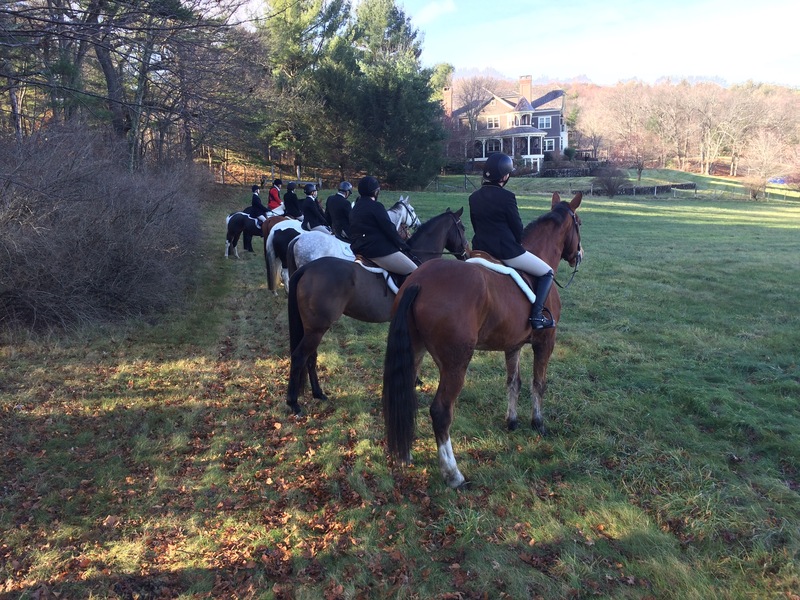 Our hunt holds an annual Thanksgiving Day hunt that leaves from The Old Manse in Concord. Built in 1770, The Old Manse, became the center of Concord’s political, literary, and social revolutions over the course of the next century. In the mid-19th-century, leading Transcendentalists such as Bronson Alcott, Henry David Thoreau, and Margaret Fuller discussed the issues of the day here, with the Hawthorne and Ripley families. Today The Old Manse is a National Historic Landmark that is right next to the Minute Man Visitor’s Center and the Old North Bridge. I almost didn’t make it to the hunt. First, after I’d tacked up Freedom I discovered that I’d left his hoof boots in my trailer. This is one of the hunts that is very close to where I board and I intended to hack over. I didn’t have time to get Zelda clean and tacked . . . so I decided to count on the fact that the footing was good and just go barefoot. Freedom did not find it amusing to face a river of runners! Then, during the hack over from the parking area to the Manse, we encountered hundred of runners (there were 1300 entries this year, so while they should have been gone by the time we hacked down, we were not so lucky) coming right at us in the midst of the annual “Turkey Trot.” Not just runners, but runners wearing turkey feathers and some pushing strollers. That just about blew Freedom’s mind. Freedom calmed down once the runners went by but you can see that his nostrils are still a bit flared. Just to be on the safe side, I hopped off and walked Freedom past the excitement. He was prancing and snorting the whole way down but he’s braver when I walk next to him. He settled down once the runners had passed and he realized we were here to hunt. He loves having a job! was pretty sure that I was doing it “wrong” by keeping him slow and got a bit worked up because of it. 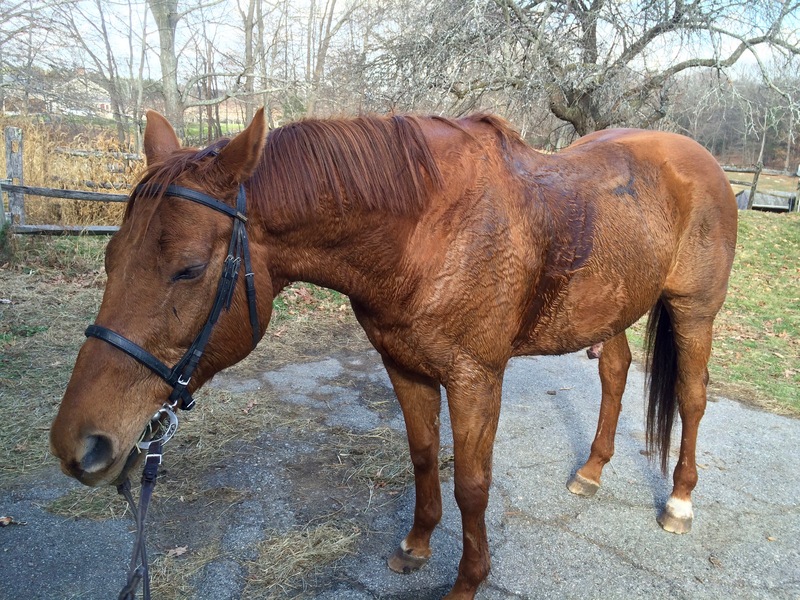 Still, because he’s a collaborative horse, he did his best. I suspect Zelda would have thrown a tantrum! It’s funny how the horses decide that they know more than we do. was a balmy 56 degrees. 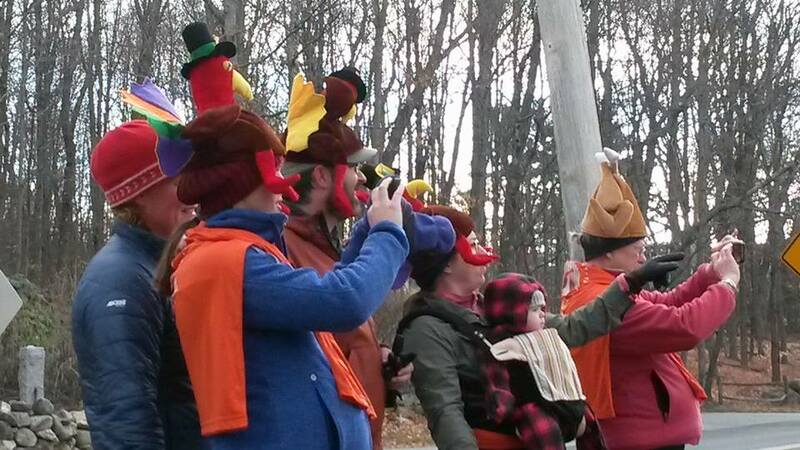 What a difference from last year when the Thanksgiving Hunt was cancelled because the snow made it too slippery. Yesterday we all rode in our light weight jackets. 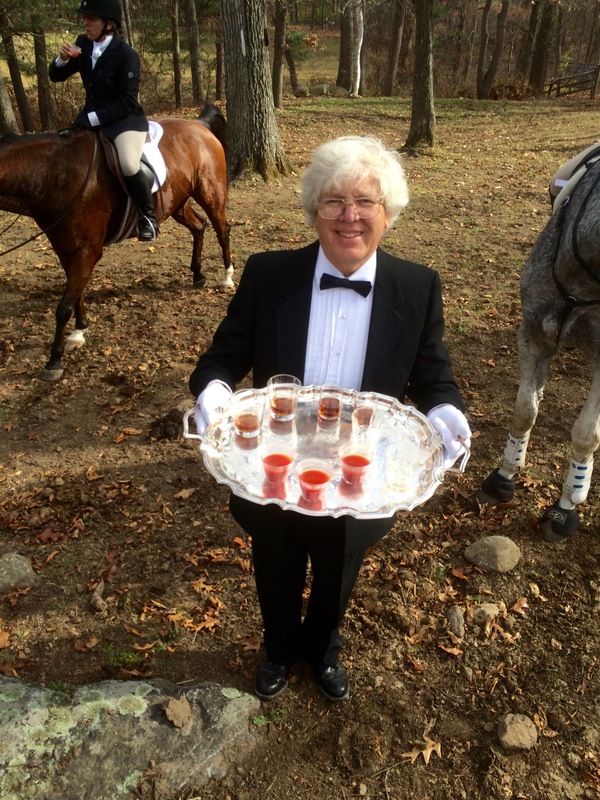 One of the highlights of the Thanksgiving Hunt is the Stirrup Cup at the end. The landowners are most welcoming! the field master) so we’ll have to go over there on our own and enjoy those jumps. We ended the hunt with a second stirrup cup. Our welcoming hosts brought us drinks and snacks on platters. I could really get used to this! 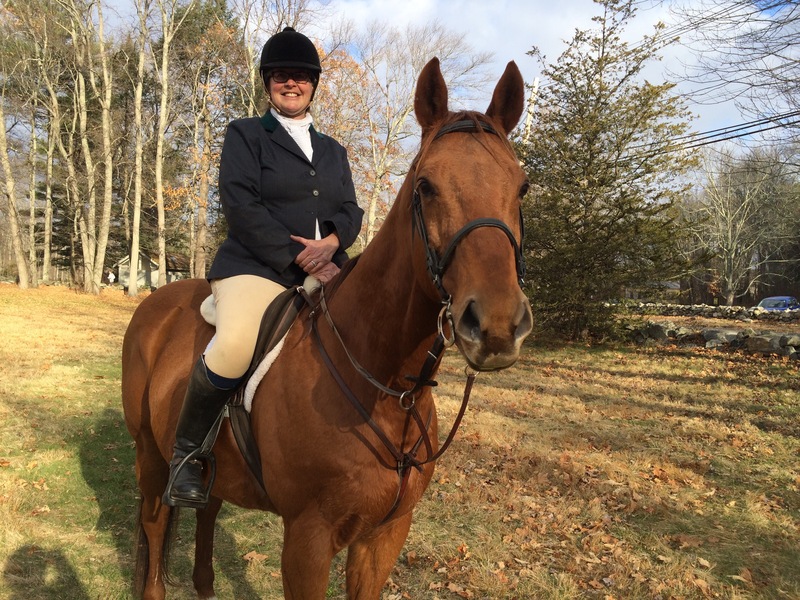 By the time we’d hacked back to the start and I’d peeled off to ride back to the barn, Freedom and I had covered nearly 10 miles. Although he jigged and pranced the whole way back (like a toddler he kept saying, “I’m not tired”), once I had him untacked, he gave in and admitted that he’d worn himself out. He got a nice warm bath, a good roll and an extra ration of grain as a reward before I headed home to make Thanksgiving dinner for my very patient family. Although Freedom insisted that he wasn’t tired when when we go back to the barn, he was ready for a nap. What a wonderful way to start Turkey Day! Sounds like you had a fun day. 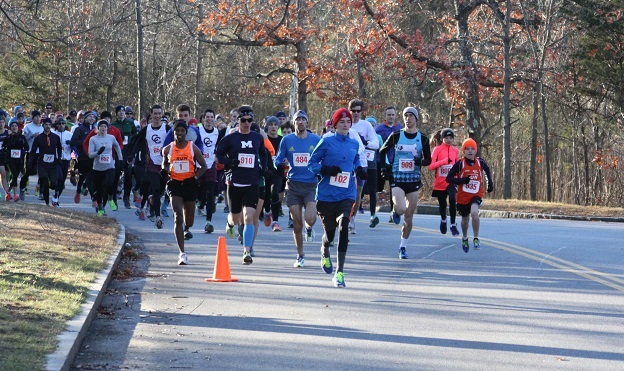 And I would probably freak out too if I saw 1300 runners wearing funny hats! How many days off do your horses get after a hunt? How many days do you give yourself? I think I’d be pooped. Wow!! Lucky you!! I have always admired fox hunting, it seems like a blast if your on the right horse. As I know nothing about fox hunting what is hilltopping? 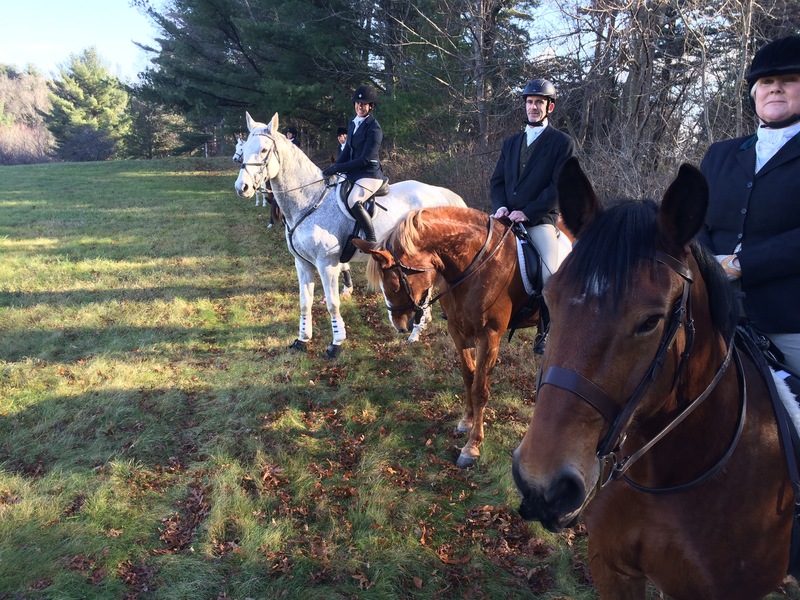 Yes, I am very lucky to have a foxhunting club right near me! Hilltoppers go more slowly than the first field and don’t jump.